Public, private and hybrid Cloud solutions are an intelligent investment for enterprises and SMBs alike, and many are already relishing in their true potential. According to a survey conducted by CompTIA Inc., more than 90 percent of businesses use Cloud computing at some level. Tech Pro Research also revealed that nearly three out of four (70 percent) of businesses are using or evaluating a hybrid Cloud solution. It’s indisputable that the Cloud is critical for many companies’ critical operations, but securing cost-effective, reliable and secure connectivity to the Cloud still remains a challenge for many. 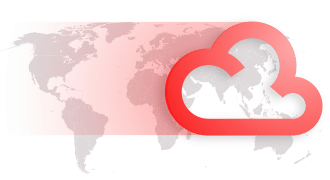 Connectivity as a service company Global Capacity and global interconnection and data center giant Equinix, Inc. have recently extended their partnership to provide customers with much needed direct connectivity to the highest level of Cloud service offerings. Enterprise customers can now leverage a direct, private Ethernet connection from Global Capacity’s One Marketplace™ to the Equinix Cloud Exchange™ in order to reach multiple Cloud services from the eight Equinix International Business Exchange™ (IBX®) data centers in which Global Capacity resides. Global Capacity’s award-winning One Marketplace platform provides customers with the flexibility, speed and service options to extend network service reach across the globe. 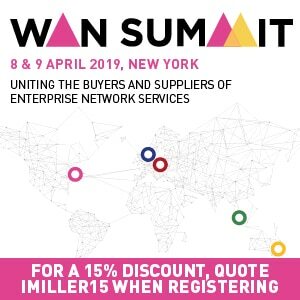 One Marketplace leverages an interconnected network aggregation platform with a suite of innovative applications, including Connect and Network Builder, to streamline and simplify the process of designing, pricing, procuring and delivering data connectivity solutions. By bypassing the public Internet, companies can privately and securely connect their headquarters, data centers and remote locations to Cloud providers inside the Equinix Cloud Exchange, including Amazon Web Services (AWS), Cisco, Google Cloud Platform, IBM SoftLayer, Microsoft Azure, and many others. With network access to 9.6 million commercial addresses in the U.S., Cloud service providers within Equinix’s IBX® data centers also have the ability to extend their enterprise market reach. Enterprises leveraging One Marketplace benefit from guaranteed bandwidth and 1Mbps – 1Gbps business connections, enabling them to successfully create anything from simple websites to complex business applications within the Cloud. Equinix and Global Capacity are making it simpler than ever for enterprises to connect to the Cloud and build sophisticated hybrid Cloud solutions for their business-critical operations. To learn more about the collaboration of Global Capacity and Equinix, please read the full release here.